The transport system in humans is called the circulatory system, which is made up of heart and blood vessels. The space in the atrium is smaller than that in the ventricle. The wall of the ventricle is thicker and stronger than that of the atrium. 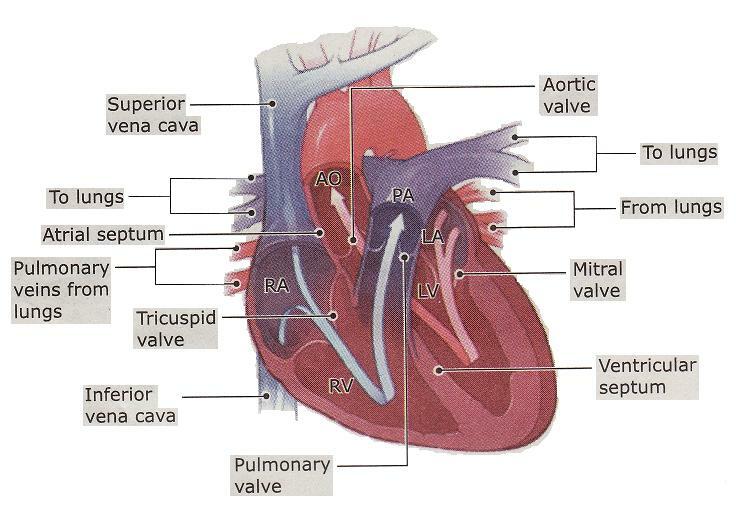 Valve TRICUSPID - Prevents blood in the right ventricle from flowing back to the right atrium. Valve BICUSPID - Prevents blood leaving the heart from flowing back. cikgu, sikit nye nota ..... ?